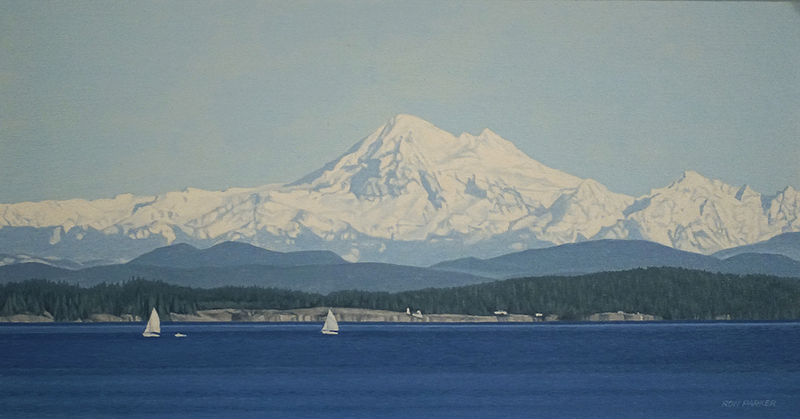 The Salish Sea is the playground for sailboats in the Spring and summer. It still wears a full white mantle in the Spring that matches the white sails below. Copyright © 2019 Ron Parker.